I am very pleased with care I receive from Dr. Viradia and other staff at Axis. Dr. Viradia always takes time to listen to concerns I have about pain in my neck and shoulders. The shots I receive has helped tremendously with my pain. I highly recommend Dr. Viradia for pain treatment. 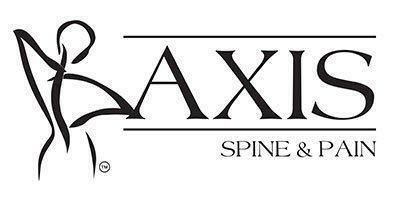 I have been going to AXIS Pain Clinic for many years. Dr. Vijay Thillainathan is so caring, compassionate and exceptional with his care and surgical procedural results for me. I highly recommend using this Axis Pain Clinic and their connecting Lakeview Surgery Center if you are living with long term chronic pain. Always a professional and caring experience with Dr. V/J and his staff. Waiting time is somewhat disappointing. Once seen inside the office it moves at good pace and always good outcome. The staff I saw today was excellent. They made you feel like a good friend. Dr Prine is such a compassionate Dr. He makes you feel very relaxed which makes it so easy for communicating. Don’t know what service other patients have received but I have gone to Dr. Veradia for Accupuncture - first for chemotherapy induced neuropathy and then for lower back pain. It is taking time on the neuropathy but the first treatment for back pain was like a miracle. I was just about in tears driving to his office that day but since then I have NO back pain. I convinced my husband (and others) to give it a try. My husband did go today and he says he has NO pain although he has been suffering since 2005. Too bad he was so hard headed that it took me a few months to get him to go. His improvement also benefits me. I believe Dr. Veradia can help with neuropathy, back pain, sinus problems, migraines and probably any pain. I plan to go to him first with any pain before going For pain MEDICATIONS. Haven’t had a pain pill (hydrocodone) sine going to Dr. Veradia. It’s worth a try. Dr Prine is wonderful; however, be prepared to long wait times. My mother’s appointment was at 9:45 am and we still haven’t been seen by the doctor at 10:56 am. I had to go find a nurse at 10:45 to see why all that was said was I apologize. Apparently there is a problem with over scheduling and this needs to be addressed. I had bilateral epidural injections...Dr. Patel and all of his staff were very friendly and efficient. Great experience. Love the staff & Dr's at Axis. I wouldn't go any where else. Love the staff and Dr's at Axis. Have been a patient since 2011 and wouldn't go anywhere else. Dr. Veradia is very thorough and professional with patients as well as his staff. Very pleased with treatments in this office. Always informed of my options and what will be done. Very kind and professional staff. Attentive to my needs and informed me about everything that I was going to have done. Dr. Veradia is amazing! Dr. Viradia kept me from being paralyzed by the VA, he made sure that they sent me to a Neurosurgeon who was competent and capable of performing the procedures that I needed to have done!!! He cares about his patients and he listens to you (them). If you want to be treated with dignity, respect and like your family, then, Dr. Chandresh Viradia should be your first choice!!!! Dr Viradia and the entire staff at Axis was very pleasant, understanding, professional and genuinely showed they care. The facility is very nice and clean also. I was very pleased. I will be referring others to them. Been with axis pain center for years and very glad that i am being taken care of and look upon my health and well being. I give 5 stars all they way to my DR.Vijay . Dr. Prime is the nicest doctor. He listens to you and I really feel comfortable with his care.